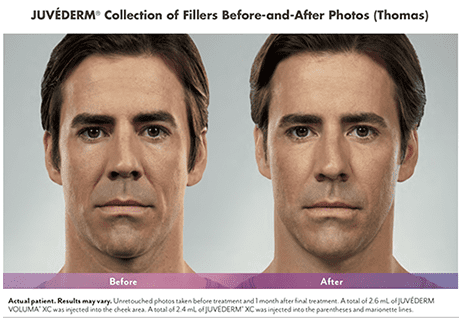 Dermal fillers are a great option for men because it helps diminish lines and restores fullness in the face. By injecting soft filler tissue through the skin, it appears smoother and enhances shallow contours. In addition, the best dermal fillers contain hyaluronic acid (HA), a naturally-occuring, very moldable gel base best used for enhancing cheeks, lips, and jawlines, and filling in lines and wrinkles. At Foyé MD and Spa, we are excited to offer our Houston, TX patients Revanesse Versa, Juvederm, and Juvederm Voluma XC, all great options for dermal fillers. Each of these versatile cosmetic solutions has their own advantages, and your doctor can help you choose the right one to suit your goals. Schedule your complimentary consultation today. The Versa filler consists of tiny spherically shaped particles that provide uniform volume and smoothness where injected. It can be used between the eyes, in the cheeks, lips, under the eyes, and in the nasolabial folds (smile lines). The new Revanesse Versa filler is remarkable due to the advanced proprietary formula and milling technology. This HA filler’s unique particle shape provides the ideal balance of volume and smoothness. Juvederm is the #1 selling collection of hyaluronic acid fillers in the US. Hyaluronic acid (HA) is a naturally-occurring substance that delivers nutrients to the skin. When used cosmetically, it helps the skin retain moisture and softness while adding volume. It is commonly used to treat skin folds and moderate to severe wrinkles. Juvederm offers a collection of products that aim to treat different areas of the face. 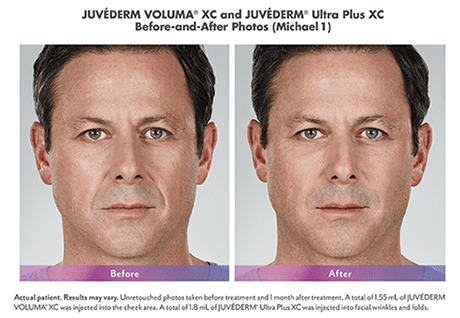 Juvederm Voluma XC is an FDA-approved injectable gel that can give your face an amazing contour, fuller appearance, and provides natural results. There’s no down-time required, and is the perfect treatment option for reducing the look of a double-chin. 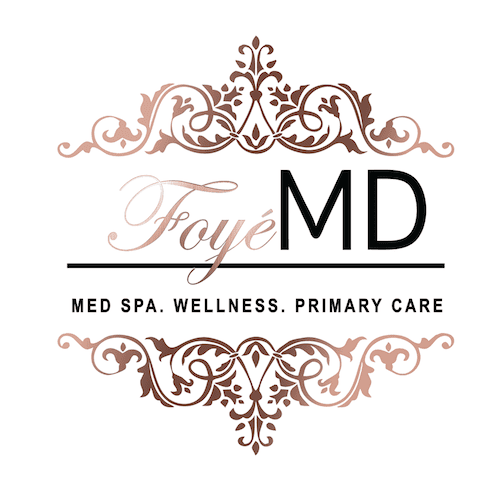 If you’re ready for a more youthful-looking face, book an appointment at Foyé MD and Spa for a consultation on dermal fillers today.